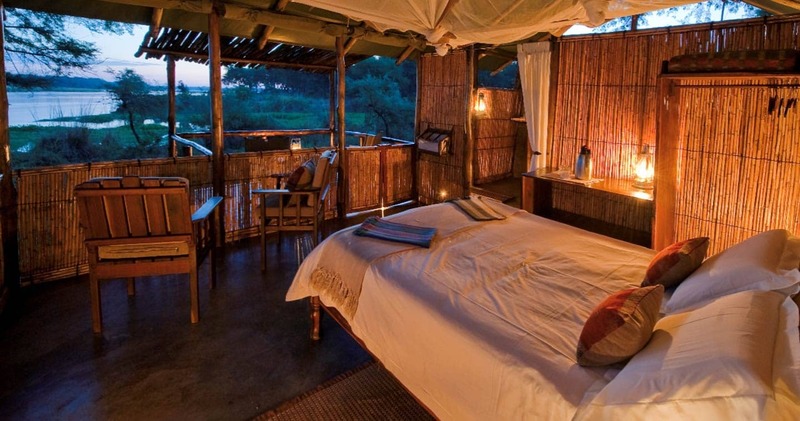 Old Mondoro is an intimate, simple safari camp in Zambia’s Lower Zambezi National Park. 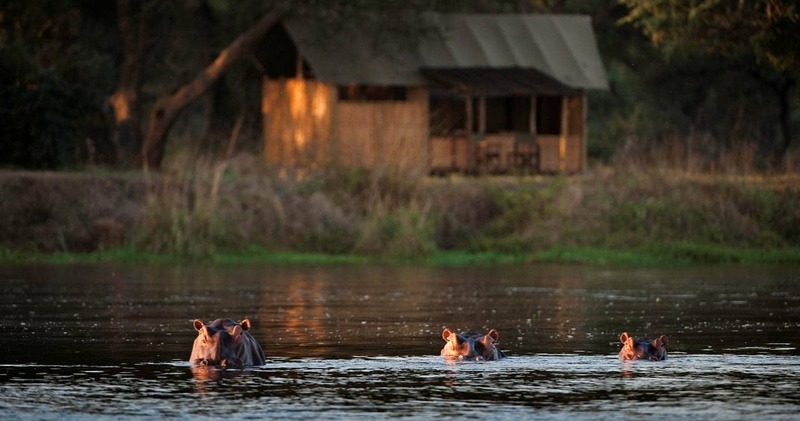 The camp is situated in a grove of acacia and winter thorn trees, strung out along the banks of the Zambezi River and overlooking a maze of hippo-inhabited channels. It is about an hour downstream from its, slightly more luxurious, sister camp, Chiawa. The area is characterized by vast flood plains and open woodland making it ideal for walking and game viewing. 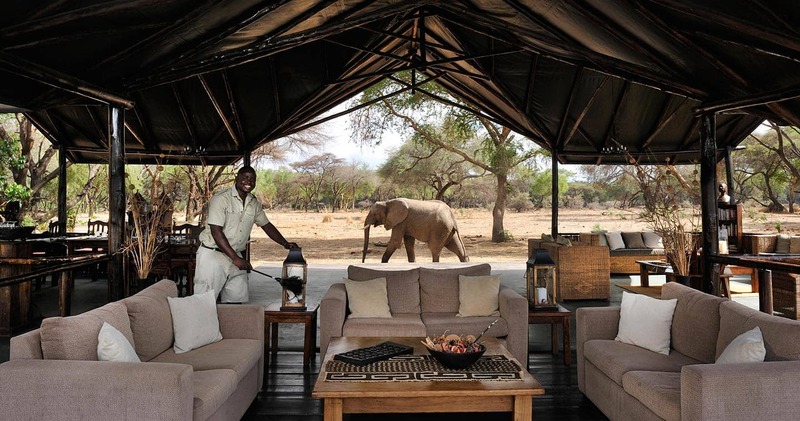 Not only does the Old Mondoro Bushcamp attract guests seeking a pure safari experience, the camp also attracts elephants that come to feast on the juicy leaves of the winter thorn trees (especially during September and October). While you nestle into one of the cosy nooks to finally read that book, peek at the grey giants foraging for food with their agile trunks in these incredible trees. This camp is unfenced - expect some wild visitors – and therefore, may not be for the ‘faint of heart’. But no worries, with only room for eight guests in the entire camp, the staff will constantly look after you and has your back. 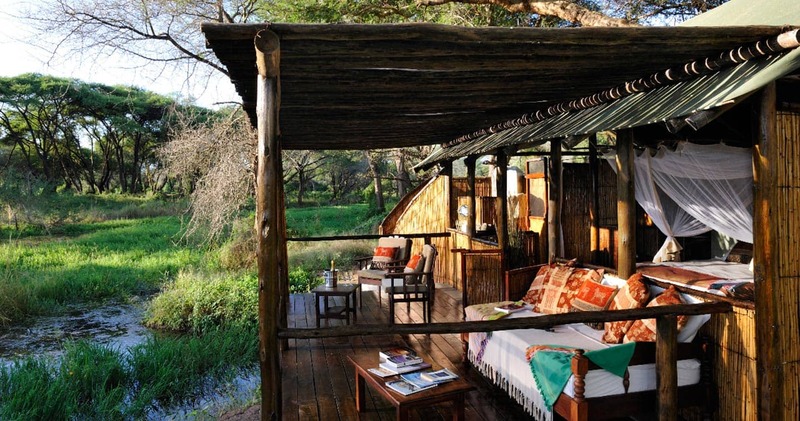 With three guides for eight guests, here at Old Mondoro, the focus is on the personal safari. Game drives are offered in the morning and late afternoon; this is still the best way to see an abundance of Zambian species since you can cover much ground and get reasonably close without disturbing the animals. This area is known for great leopard and lion sightings, vast herds of buffalo, healthy elephant populations, hyenas, zebras, over 400 birds species and many more. Want some awesome photographs to ‘show off’ back home? The guides here know exactly how to position their vehicle for the best shots. Another great way to view wildlife from a different perspective is joining a canoe safari. Together with an experienced guide, you glide downstream while passing elephants, hippos, crocodiles, amazing river birds and other small carnivores and omnivores. For those who prefer a real look ‘behind the scenes’, opt in for a walking safari, where each step will take you closer into this unique world. Don’t forget to print the mammal and bird checklists from the Old Mondoro website to learn even more. Pure safari simplicity combined with in-depth knowledge of the area: is there a better combination? Book your Lower Zambezi safari adventure at Old Mondoro for two nights and stay an extra night for free! This special offer is valid from 1 May 2019 through 30 June 2019 and from 16 October through 21 November 2019. We stayed at Old Mondoro in mid-August and had a wonderful time. The setting was terrific on the bank of the Zambezi and the bathtubs (open air) were fun. The wildlife was ever present. Multiple leopard sightings. Fun canoeing the river. Our hosts and guides and camp staff did everything to make our visit memorable. We have just returned from staying at Old Mondoro Bush Camp and sister camp, Chiawa. Wonderful experience, a real balm for the soul. Enjoyed having the elephant visit right next to the terrace and we were lucky enough to see both the pangolin and African wild cat on one of our game drives plus a total of six good sightings of the leopard during our three night stay. Excellent staff, efficient, courteous and friendly. A really magical place which I will never forget. 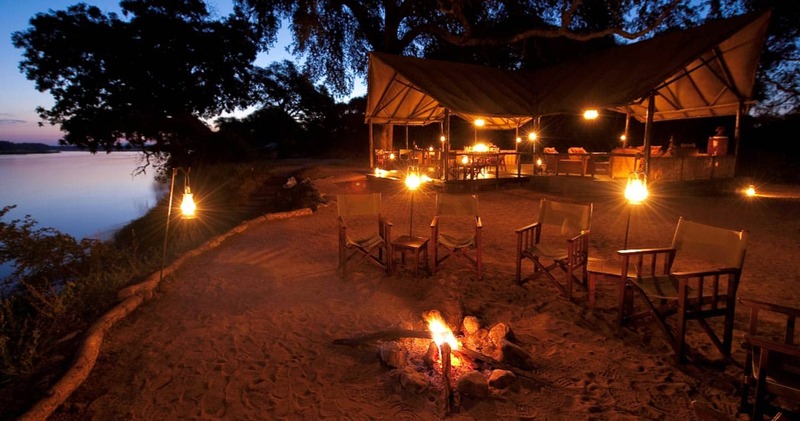 The accommodation and food is great (including gluten free vegetarian fare) but it is the setting, the intimacy of the camp, the wildlife - if you want to see leopards, honey badgers, porcupines and more - and the guiding that makes it special. I loved the chance to do canoeing, walking, game drives, and boat trips. One of our best wildlife experiences was from our chalet with elephants wading through the lagoon and then surrounding us - very special. You will feel very looked after at Old Mondoro. Old Mondoro Bushcamp is designed and built to the code of Environmental Council of Zambia and Zambia Wildlife Authority. Rates are per person per night sharing. Please note: A single supplement may be applicable. Special offer: A stay 3 pay 2 special offer is available between 1 May 2019 and 30 June 2019 and between 16 October and 14 November 2019. 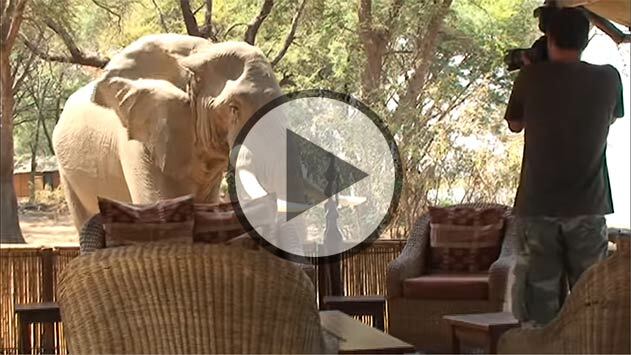 Read all about travelling to Old Mondoro Bush Camp on our getting to Lower Zambezi page. 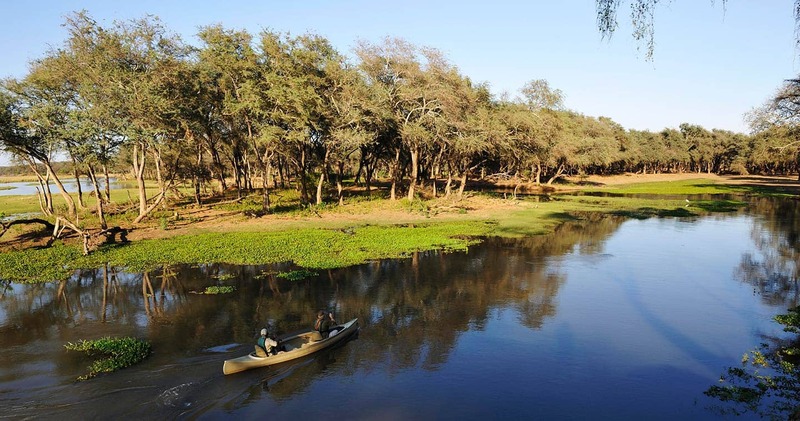 Old Mondoro Bush Camp is best accessed through Kenneth Kaunda International Airport (LUN) near Lusaka followed by a short light aircraft transfer to the Jeki or Royal Airstrip. No children under 12 years. We hope you have found all information needed to decide that Old Mondoro Bush Camp in Lower Zambezi National Park is the perfect place for your next travel adventure. Please fill in the contact form and we will get back to you soon!